기사요약: K-pop 아이돌계에 한 획을 그은 소녀시대가 해체위기를 놓였다. 최근 소녀시대 멤버 티파니, 서현, 수영이 소속사와 재계약을 하지 않기로 해 해체설이 불거졌다. 소속사는 나머지 다섯 멤버가 재계약을 했다며 소녀시대 해체설을 부인했다. 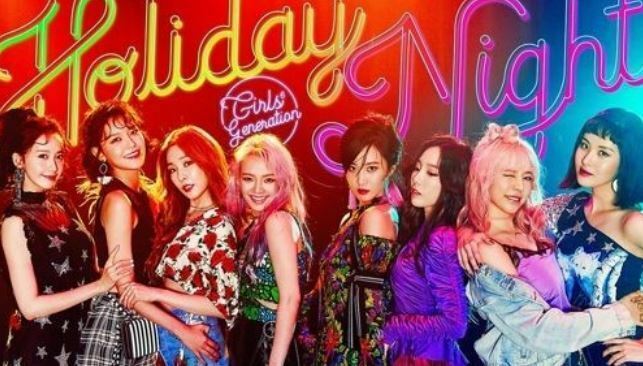 The revelation Monday night that three members of Girls‘ Generation are leaving their agency raises questions about the group‘s future: Will the group weather the storm intact or will it be the final straw for this legendary brand? With three of its members venturing into solo careers -- one of them leaving Korea -- speculations have been rising that their departure will soon lead to the group’s disbandment. Girls’ Generation may manage to stay intact from the blow, but whether the five-member structure will hold as much momentum as before also remains a question. Other popular girl groups such as Wonder Girls and Sistar broke up entirely after having lost its members or seeing some members choose a solo career over group activities. However, it is too early to make any assumptions about the group’s future, as another scenario in which the members can gather in groups or as a whole for project activities is still possible, following in the footsteps of long-running K-pop acts such as Shinhwa and g.o.d. Kim Jong-un’s 21-year-old nephew has been expressing increasing frustration of his life on-the-run and has begun to develop a habit of daytime drinking, media here reported Tuesday. Kim Han-sol, along with his mother Ri Hye-kyong and his 19-year-old sister Kim Sol-hui, has been on-the-run from the North Korean regime after his father, Kim Jong-nam, was killed at a Malaysian airport in February. Kim Jong-nam, who was the half brother of North Korea’s current strongman was murdered with the banned VX nerve agent in broad daylight, in what appears to be an assassination plotted by Kim Jong-un. The trio’s current whereabouts are unknown, although the respective governments of the Netherlands, China, the United States, and a fourth unnamed nation had offered help to them, according to Cheollima Civil Defense, an organization keeping the family under Pyongyang’s radar. The group is believed to be formed of North Korean dissidents.